Ever more people are suffering from cardiac insufficiency, despite significant advances in preventing and minimising damage to the heart. The main cause of reduced cardiac functionality lies in the irreversible loss of cardiac muscle cells due to disease, especially ischaemic diseases such as cardiac infarction. There is still no treatment to reverse damage of this nature. 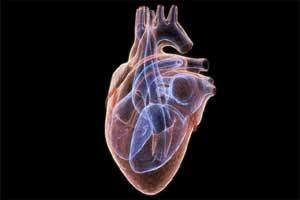 Research is ongoing to develop methods of repairing such damage to normalise cardiac function. A promising approach: cardiac muscle tissue made of spider silk. Researchers at Friedrich-Alexander-Universität Erlangen-Nürnberg (FAU) and their colleagues at the University of Bayreuth investigated whether an artificial silk protein developed in the laboratory could be suitable for engineering cardiac tissue. They have published their results in the journal Advanced Functional Materials. Silk could be the key to artificial cardiac tissue. Or, to be more precise, the protein that gives the silk its structure and mechanical stability: fibroin. Prof. Dr. Felix Engel of the Department of Nephropathology at Universitätsklinikum Erlangen had examined the properties of silk from the Indian silkworm and demonstrated its particular suitability as scaffolding material for engineering cardiac tissue. Until now producing the protein in sufficient quantities and at a consistent quality had been impossible. His colleague, Prof. Dr. Thomas Scheibel, holder of the Chair for Biomaterials at the University of Bayreuth, had successfully produced a recombinant silk protein from garden spiders in the required larger quantities and of a consistent quality with the help of E. coli bacteria. This led the two researchers to join forces and further investigate the silk proteins of garden spiders. Jana Petzold of the Erlangen team headed by Prof. Engel and Tamara Aigner from Prof. Scheibel’s Bayreuth working group collaborated in investigating the suitability of the silk protein eADF4(κ16) produced in the laboratory for the production of cardiac tissue. The research involved applying a thin layer of the silk protein to a glass slide. The technique is based on the fact that cells with a negatively charged surface adhere to films made of eADF4(κ16) due to its positive charge. In addition to cardiac cells, Petzold and Aigner attempted to apply other cells, such as connective tissue cells and blood vessel cells, to the film, and were successful each time. Their investigations focused, in particular, on cardiac cell functionality. They compared these cells to cells they had applied to a film of fibronectin, which is similar to the natural environment of cardiac cells. No functional differences between the two were observed. The researchers were able to demonstrate, for instance, that factors responsible for hypertrophy enlargement of cardiac cells for instance in athletes and pregnant women also led to a growth in volume in the cardiac cells that had been cultured on a film of eADF4(κ16). The work conducted by the researchers from Erlangen and Bayreuth and the possibilities of printing artificial silk proteins using 3D printing technology therefore represent the first steps towards future methods for engineering functional cardiac tissue.